"Rachel was amazing to work with! I scheduled her for a trial and was so happy with the results! I decided to get airbrush makeup because I had planned my engagement photos that day. The makeup looked beautiful on and off camera plus it stayed on for the entire day! I decided to do traditional makeup on the day of my wedding and it looked gorgeous as well. It was exactly what I had imagined! Perfection! Rachel, also did the makeup for my bridesmaids, mother, and grandma. They all looked amazing. I would definitely recommend Rachel to anyone who is looking for makeup for that special day. She is prompt, professional, and personable. Thank you Rachel!" Camouflages any blemishes and evens out skin tone and texture. This service does not include airbrush. Change your makeup look between your wedding and reception! Touch up service starts from the time the last person’s initial services end. Touch ups are unlimited but only for those included in the contract. I do require a consultation before the wedding day for tattoo cover to get an estimate on how long it will take to cover the tattoo. Pricing depends on the ink color, how new the ink is, and how big the tattoo is. The time frame can range greatly depending on the size of the tattoo. Rachel does travel within a 30 mile radius from Kadena AB without extra charge. Travel outside of these areas incurs a $.50 per mile fee. Depending on how large your bridal party is and the time of day Rachel needs to start makeup, an additional hotel room fee may be added. Client is responsible for all parking/toll/travel fees. Wherever you're getting married, Rachel can travel to provide services for your big day. All fees remain the same as stated above, however travel (flights/car/gas), food, and hotel fees must be covered. *I highly suggest a consultation before booking for your wedding day. 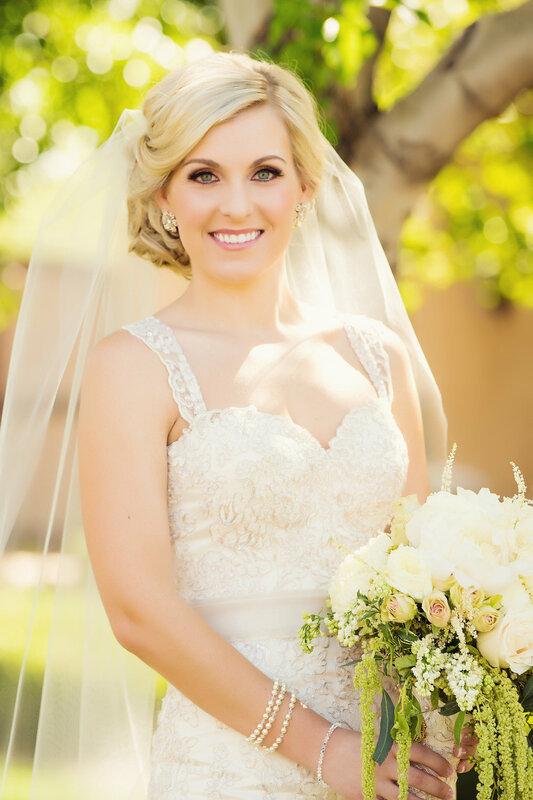 During the bridal consultation, we’ll look at your makeup likes and dislikes, your dress, flowers, colors, and hair to create a bridal look that’s you, from very natural to bold temptress. We’ll do a complete makeup run-through to make sure everything is perfect for your special day and discuss details such as time and location. If you would like, have pictures on hand of makeup you like and don’t like, and pictures of your wedding dress, hair styles you like, and your wedding colors, so I can get a feel of the style you're going for. I suggest booking the consultation on a day you’re going to go out someplace special to show off your gorgeousness. *On that note, don’t make any drastic changes to yourself immediately preceding your wedding. Make sure you have enough time to undo whatever you did if you so choose. Don’t cut, color, or style your hair differently right before your wedding because you might end up disliking it. If you want to tan, I recommend getting an airbrush spray tan. It usually doesn't end up as orange as some other tans can. Nothing's worse than an orange bride in a white dress. Don’t change products you use for skin care, such as, cleansers, moisturizers, detergents, lotions…what if you have an unknown allergy to one of these new products and end up with a horrible rash? It’s best to avoid change during this time period unless recommended by a doctor. *I cannot stress the importance of taking care of your skin. Start a simple skin care routine and stick with it. If your budget allows it, get monthly facials to rejuvenate and deep clean your skin. Ideally, it’s best to get facials done beginning six months prior to your wedding to a week beforehand. DO NOT get a facial less than a week before your wedding. Facials are meant to deep clean your pores and bring all dirt, oil, and toxins to the surface for easy removal. Because of that, some people experience flare ups, bumps, or redness right after the facial. Allow at least a week for your skin to recover. Same goes with waxing. *Make sure you have comfortable shoes. The sky high, blinged out heels are gorgeous for pictures and your ceremony, but you may want to have your MOH stash some flats for you for later in the evening. Flats the color of your bridesmaids dresses or flowers are super cute and chic in my opinion. I also suggest getting a relaxing and calming massage the morning of your ceremony. It’s a great way to prepare for the day ahead.